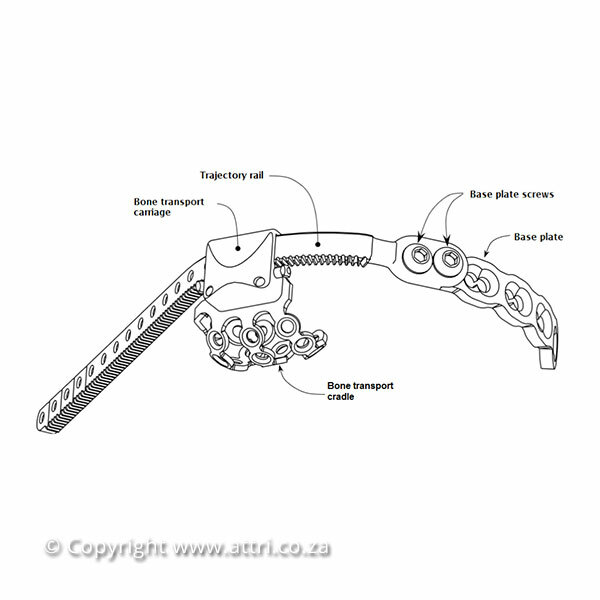 Transport distraction osteogenesis (TDO) was pioneered at the turn of the 20th century. 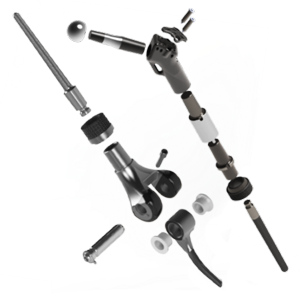 It was originally applied as a method of leg lengthening to correct congenital or acquired deformity. As such, its early development was in the area of orthopaedics. 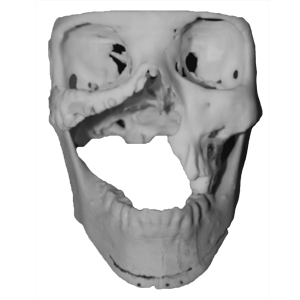 The concept has also been adapted to the discipline of maxillofacial reconstructive surgery in the area of regeneration of portions of the mandible and maxilla, especially after the removal of tumours, as well as for the correction of various cranial abnormalities. TDO involves surgical fracture of the bone (while keeping intact the periosteum), a latent period to facilitate initial healing of the fracture, and then incremental, relative distraction of the fracture surfaces. By incrementally distracting the healing fracture surfaces at a rate of approximately 1 mm to 1.5 mm per day, it is possible to gradually extend existing bone segments or generate sections of entirely new bone and soft tissue where deficiencies are present. 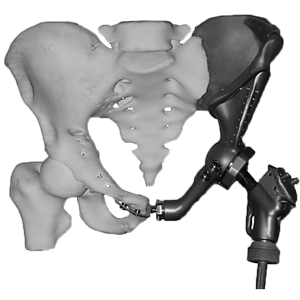 During TDO, distraction is mechanically controlled and, as such, the mechanical stability and control of the healing environment is crucial to the physical properties of the newly generated bone and the ultimate success of the procedure. The most common abnormalities of the maxillofacial region are congenital defects, bone disease or the result of tumour removal. Surgical treatment of these disorders results in a gap in the maxilla or mandible, and also a total or partial removal of the alveolar ridge. Such defects have serious implications for the quality of life of patients, as the maxilla and mandible are responsible for the fundamental functions of chewing, swallowing, speaking and facial expression. TDO offers numerous benefits over bone grafting. The benefits of TDO include reduced patient trauma and faster patient recovery and elimination of the associated risks of bone grafting, such as rejection/ infection/ non–integration of the graft by the human body and significant donor site morbidity. The major benefit, however, is that TDO regenerates not only the structural new bone, but also the simultaneous regeneration of the surrounding soft tissue and blood supply. In the case of grafting, a prolonged period of healing is required before these are restored. Reconstruction of large maxillectomy defects following tumour resection presents a formidable challenge to both surgeons and prosthodontists. However, it is possible to re-form a functional palatal vault, alveolar ridge that can house dental implants and a vestibule for the supportive form and function of cheeks. Various transport distractors have been developed but are neither suited to distraction in the anterior curved segment of the maxilla, nor perform well when attempting distraction from the anterior to the posterior direction in the maxilla. The Hendricks-Vicatos distractor has been developed to overcome these problems and to date six patients have been treated successfully, with the full reconstruction of their palatal and alveolar bones, nerves, blood vessels and other soft tissues. The device is temporarily fixed onto the maxilla and after the completion of the distraction and a three-month period necessary for bone consolidation, it is removed from the mouth. After a further three to four-month waiting period, the patient is ready to receive dental implants. 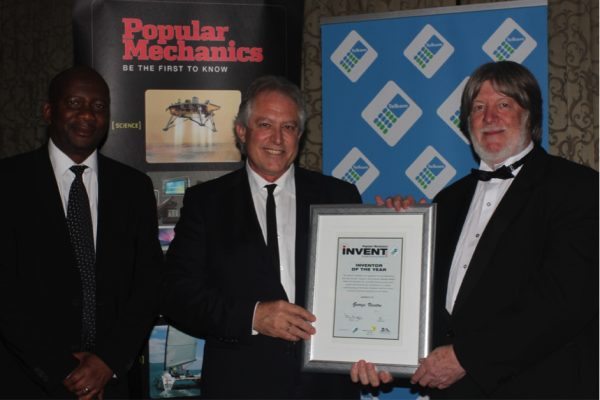 In 2011 – Popular Mechanics, Inventor-of-the-Year and Cutting-Edge awards.